tour. The band was, reportedly, a bunch of assholes. Now the Dude, using his professional alias Jeff Bridges, will record an album with Oscar and Grammy award winner T-Bone Burnett for Blue Note Records. 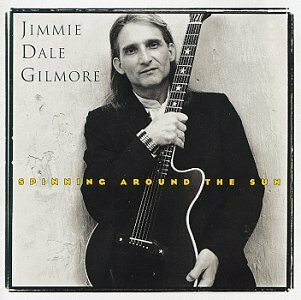 The Dude's old bowling pal Smokey (a pacifist who allegedly can't keep his toe behind the line) is also a musician, prepping for the release a bluegrass record under the name Jimmie Dale Gilmore and The Wronglers. Smokey's band recently showcased at the South By Southwest Music festival in Austin. The Dude's album comes after his alter ego Bridges was honored with the Best Actor Academy Award for his role as a country singer in Crazy Heart. Gweneth Paltrow, an actress who once had her face cut off and put in a box, did a similar thing recently, as her success in a film called Country Strong lead her to sign on for a full record. Burnett has worked with Allison Krauss and Robert Plant, Elton John and Leon Russell along with assembling the soundtrack to The Dude's pals the Coen Brothers flick O Brother, Where Are Thou? and the Johnny Cash biopic Walk the Line. They've known each other for 30 years. Details are still sketchy but it's a safe bet the record will sound nothing at all like The Eagles. Members of Metallica could not be reached for comments as they're prepping for a little show in California this weekend.